In just over twelve hours 'Fated Encounters' will be FREE to download for that 'Golden Hour'. "Fated Encounters is a short love story that quickly comes to life capturing both your attention and your heart. Anyone who has ever experienced love, loss or betrayal will find it easy to relate to this story and will catch themselves reflecting back on the course of their own destiny. One of the many things that make me a fan of AJ Wilson's writing is his ability to divide opinions and spark debate, whatever the topic. It gives you the freedom to imagine, with enough structure to lead you directly into his web of unforgettable characters, where you will be stuck long after the story ends. 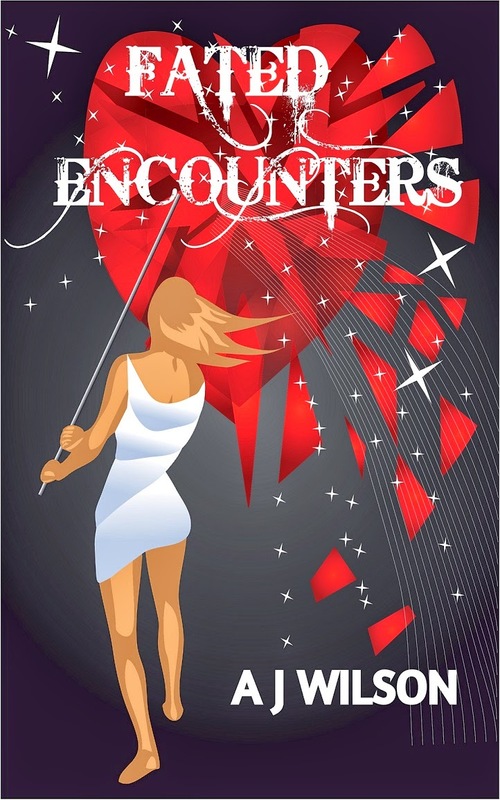 Fated Encounters is another fine example of AJ Wilson's ability to keep you guessing and leave you wondering. A very entertaining and well written read for people of all ages, everywhere." Good luck with the book Andrew! I'll pick it up later when I am through all the other books I have on my Kindle! Don't wait to grab this terrific story! It held me captive and I read it in one sitting. A wonderful read.